Enjoying a bit of Bic Runga this weekend, my favorite Kiwi singer. I've been getting updates about the massive earthquakes in New Zealand and my heart goes out to all the people in Christchurch. Please help as little or as much as you can over here. 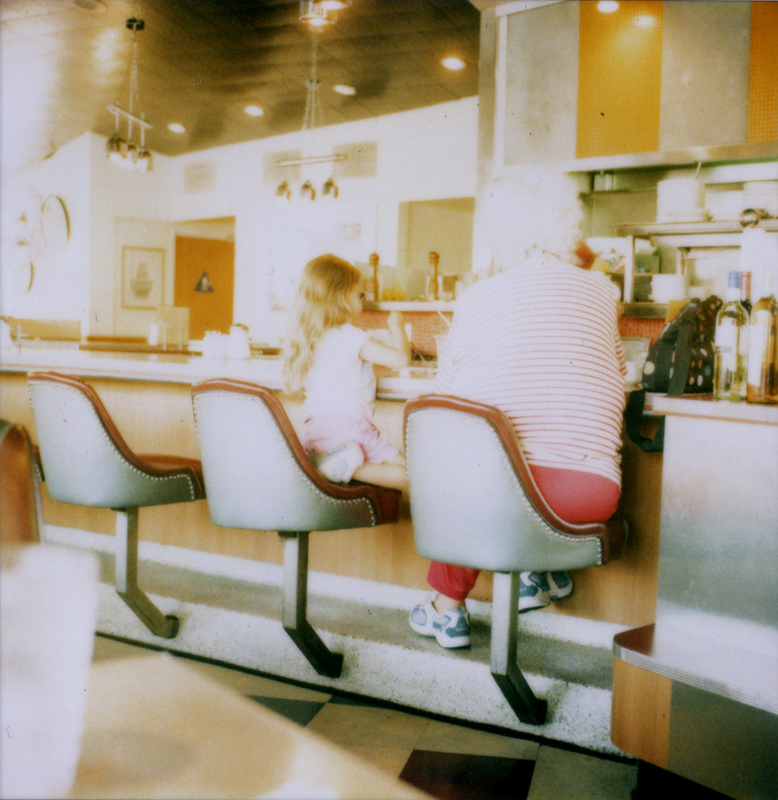 First photo is a polaroid taken at a diner. I love this classic scene, grandma takes grandchild out for yummy shakes. Makes me miss mine dearly. The second is of my niece, Kaley when she was two. 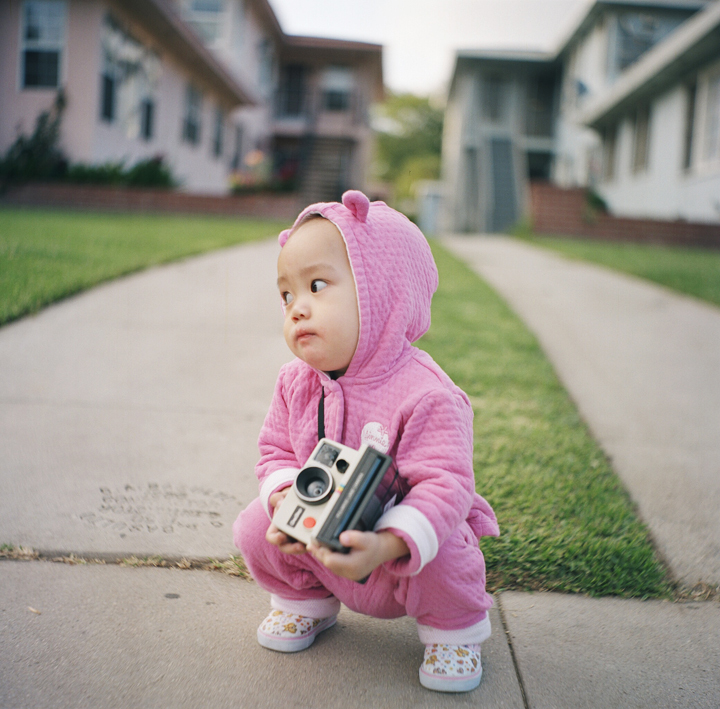 She used to love walking around the neighborhood with me and since I was carrying a camera, she demanded one, too. She's gonna grow up to be a photographer. You see, I'm trying to raise her right.